This is the new show that will be replacing EMH next year. 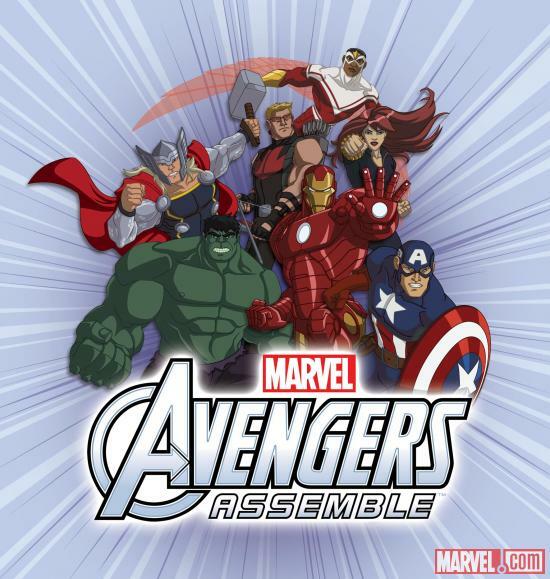 In "Marvel's Avengers Assemble," an animated series parallel to the record-breaking blockbuster movie "Marvel's The Avengers," Iron Man leads the team of mightiest heroes--Hulk, Captain America, Thor, Hawkeye, Black Widow and newcomer Falcon--who combine their powers to battle threats no single hero could overcome. When the Avengers assemble, evil doesn't stand a chance. The voice cast includes: Adrian Pasdar ("Heroes") as Iron Man, Fred Tatasciore ("Kung Fu Panda: Legends of Awesomeness") reprises his role as Hulk, Roger Craig Smith ("Wreck-It Ralph") as Captain America, Travis Willingham ("Shelf Life") as Thor, Troy Baker ("Ultimate Spider-Man") as Hawkeye, Laura Bailey ("The Super Hero Squad Show") as Black Widow and Bumper Robinson ("The Game") as Falcon. Joe Casey, Joe Kelly, Duncan Rouleau and Steven T. Seagle of Man of Action Studios ("Ben 10," "Generator Rex") will serve as executive producers. Did I just see Roger Craig Smith in that?! He's amazing as Ezio Auditore Da Firenza! I'm looking forward to seeing him at work as Captain America. ^it's always fun and surprising to see Voice Actors do such diverse roles. The second voice actor to do things like this is Nolan North. Yeah, I'm not too excited about some of the voices though. They're trying to unify the animated universe, which I would say was okay, if it didn't include shows like Hulk and the Agents of SMASH and Ultimate Spider-Man. He was perfect as Iron-Man if you ask me. Though, did anyone catch the new episode last weekend? I thought it was on, but it wasn't.. Please don't tell me it's going to be DC Nation hiatus..
New episode of what? Ultimate Spider-Man or Earth's Mightiest Heroes? Oh, I see.. Drag, I though maybe you had seen them and I didn't. I'll watch the 1 hour special, but I have a feeling this show will not be up to par with EMH. Meh, I'll give it a chance if only for Hulk action scenes. I can never get enough of those. 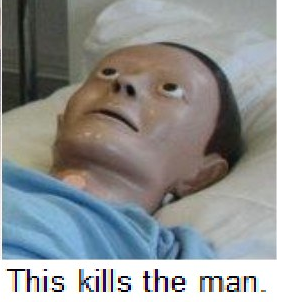 So I just watched the first episode of Avengers Assemble (which is free on iTunes right now). I have to say, I was pleasantly surprised. It was decent. I liked it, yet at the same time, I didn't. The show was okay but seeing the fact that it is set in the Ultimate Spider-Man universe still irks me. Unless Ultimate Spider-Man does a time jump, this means that characters like Luke Cage and Iron Fist are still children. They also made it too much like the movies, which I'm not a fan of. Avengers tower is designed after the Stark tower in The Avengers film, plus the team is composed of the characters from the movies (plus Falcon who will appear in The Winter Soldier). At a point in the show, they were in the Avengers mansion and there were monuments in a hallway to what seems to be fallen heroes, maybe that explains why some other members of the Avengers were not present, they were possibly dead. Evidently the show takes place after the Avengers had disbanded, so who knows? I still would have appreciated references to other founding members. Maybe that type of thing will come later in the show - hopefully. I only watched the first episode, so it's hard to say what they're going to do continuity-wise, but I'm hoping they have a good storyline going when the show finally airs after the pilot. It's definitely not better than Avengers Earth's Mightiest Heroes in my opinion, but it looks like it might be watchable, for now. Maybe it will grow on me a little more, depending on the direction they take the show. So, Episode 1 and 2 aired today on TV. My feelings from the previous post kind of remain. I saw episode 1 last week, but episode 2 today. I still don't like a lot of aspects of the show, but for now, it's bearable.